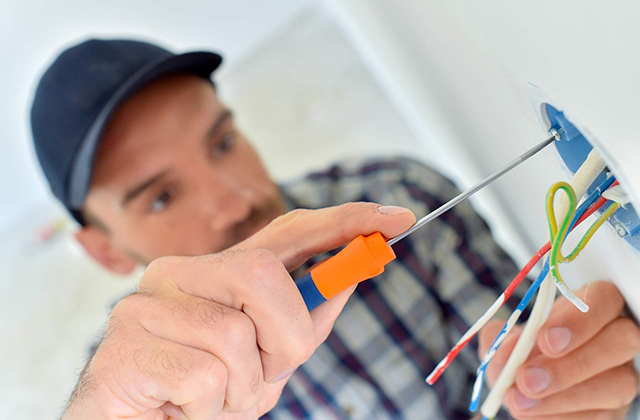 Electrician Brisbane 24 hours covers small residential premises, high rise buildings, up to large commercial business facilities. Circuit breakers function as switches which interrupt the flow of electricity in a circuit in the event of a short or an overload, preventing accidents and other problems. Homes which have built or rewired from the mid-1960s make use of circuit breakers in monitoring the electric current which is coming inside the home. Through sensing and reacting to conditions when the normal current or voltage load is exceeded, circuit breakers can help to protect your home from fire and electric shock. Although the process of installing or replacing circuit breakers should best be left to professionals and licensed electricians, it would help that you have an idea of what factors you need to consider when you need to get new or used breakers for your home. Some of the factors that you need to consider would be the types of breakers, their load capacity, compatibility, limitations and safety. To know more about these considerations, read on. your home and passes through your electrical wires to outlets, appliances, light fixtures and other electronic appliances. The flow of electricity continues to be uninterrupted as long as the electric current is operating within the range that can be handled by the specifications of the breaker. In the event of a short circuit or an overload, which usually happens when a hot wire comes in contact with a ground wire, a neutral wire or with another hot wire, it would cause the breaker to trip and interrupt the current, preventing the wires from overheating. Standard circuit breakers have two kinds: single-pole breakers and double-pole breakers. Single-pole breakers protect a single energized wire and can supply 120V to a circuit. They are generally 15 amps or 20 amps. They occupy just one slot in the breaker panel and are the most common circuit breakers which are used in homes. You can get full size, half size or twin single-pole breakers, depending on the type of breaker panel you have. Double-pole circuit breakers, on the other hand, occupy two slots in the breaker panel and are made up of two single-pole breakers that have one handle, along with a shared trip mechanism. These breakers supply 120V/240V or 240V and range in capacity from 15 amps to 200 amps. This type of standard breakers is commonly used for large appliances such as water heaters and dryers. Ground fault circuit interrupted circuit breakers or GFCI circuit breakers interrupt the flow of electricity once they have been tripped by a short circuit, a line-to-ground fault or an overload of electric current. All GFCI circuit breakers come with test buttons and coiled wires. They generally work similar to how GFCI receptacles work but protect a whole circuit, which in turn, eliminates the need to make use of GFCI receptacles on that particular circuit. GFCIs are usually installed in kitchens, bathrooms, basements, garages and outdoor areas. They are also recommended for workshops, work sheds and other areas where power tools are often used. It is not recommended to be used for appliances that run all the time like some medical devices and refrigerators as it could trip without your knowledge. Arc fault circuit interrupter circuit breakers or AFCI circuit breakers protect from unintentional electrical discharges which are in an electrical wiring or cord that could potentially cause a fire. Once the circuit breaker senses an electrical jump and an abnormal path, it would instantly disconnect the damaged circuit before heat in the arc builds up and catches fire. Arcs are usually caused by worn or damaged electrical wirings in older homes or when the insulation surrounding the wiring is nicked or pierced during new construction. AFCI circuit breakers are similar in appearance to GFCI breakers; the only way to determine what kind a circuit breaker is would be through reading the specifications on the breaker itself. Make sure that before buying a new or a used AFCI breaker, you would first be reading the print on it to be sure that it is the right type. Aside from the types of new and used breakers, you should also understand the importance of determining their load capacity. Before adding a circuit and a circuit breaker, you should first determine the amp size of the breaker that needs to be installed, depending on its total circuit load. Remember that the typical safety rating of breakers is 80 percent of its maximum load. This means that you can only safely use appliances which have a total rating of 12 amps on a breaker that has a maximum load of 15 amps or 16 amps on a breaker that has a maximum load of 20 amps. You can check the amp rating of a particular electric appliance by looking at its label. As for the larger appliances which are permanently installed like air conditioning units, ovens and washing machines, remember that they require a dedicated circuit. If you are unsure or have questions about your total circuit load, be sure to consult a licensed electrician. You should also consider the compatibility of the used breaker that you are considering to get, you should always install the right brand of used breakers in the breaker panels that you have. Although there are some breakers which can safely be interchanged, there are many which cannot, even if they are similar in appearance. If you replace a breaker with an incompatible one, it could be very dangerous. It could also void the warranty of your breaker or the breaker panel. You can try looking at the door of your breaker panel for information as to which breakers would be compatible with it. Circuit breakers also have limitations and are primarily designed to protect electrical wirings in homes and buildings, and not appliances. Generally, they would not trip if there is a short or a fire starts in an appliance or in the event that an appliance overheats. Also, standard breakers cannot protect against surges, like lightning, which can potentially cause damage to electronics. The last thing that you need to consider as you look for used breakers would be their safety. You should understand that working in a breaker panel and replacing or installing a new or used circuit breaker could be very dangerous so these should best be left to the professionals. Some of the important safety considerations that you should take include: shutting off the main breaker prior to beginning any work on the breaker panel; ensuring that the device matches the wiring and load requirements of the kind of breaker panel; never replacing a circuit breaker with another that has a higher rating; and testing any GFCI and AFCI breakers that you have every month to make sure that they are still in working condition. If you’re ever unsure of any electrical repair or upgrade, please contact a licensed local electrician. Safety, not saving money, should be your number one concern. If you’re interested in buying used breakers check out Southland.